In the showcase hotseat this week, the prolific US label Aural Sects. In our first 60, music from Dettmann, Exium, Musical Mob, David Meiser, Mike Oldfield, NGUZUNGUZU, Mark Fell and loads more. An independent record label, run by musicians as a collective. 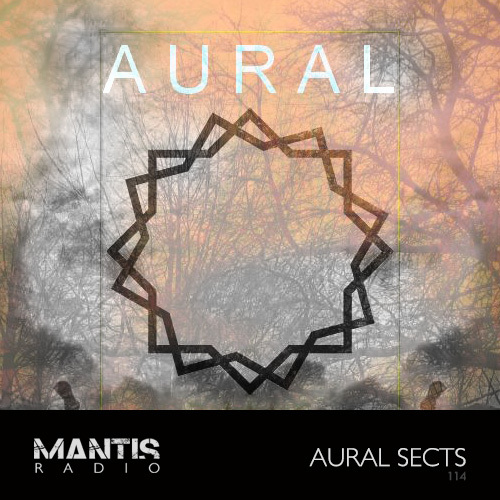 Aural Sects focus on various forms of modern dark electronic music; witch house, juke, weird electro and bizarre pop. The majority of their output is available as free downloads, right from the start they wanted to keep it that way. We’ve got releases from Spell Hound, MADDEN, Peachblack and VS//YOUTHCLUB forthcoming, and at the moment we’re really trying to push for more recognition for the Rachel Haircut EP we just put out. It’s like experiencing time compression of the last 20 years of dance musics (garage, uk bass, 90s pop dance etc). The label does occasional physical CDs as the latest from WITCHBOY LE UNVIERSE PERVERSE an expansive concept album exemplifies. SWASTIQUE taken from that album is featured on tonight’s showcase mix. And of tonight’s mix, well it’s certainly different; multi faceted and colourful. If anything it aptly shows the range of sounds Aural Sects unleash. Strap in, we’re going to the other side.